Quite a few NZL crews at the Coupe du Monde de Voile at Hyeres. Regatta site results and reports at swc.ffvoile.com. 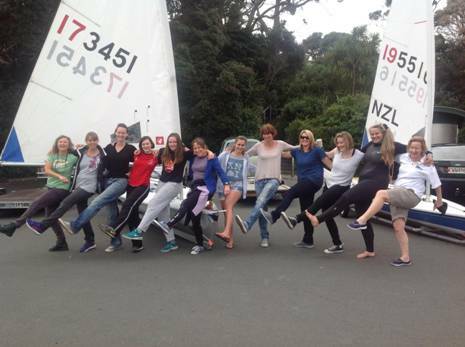 YNZ report for the NZL sailors. Sam Meech had a great regatta to dinish 2nd just a few points behind the German sailor Philipp Buhl. Andy Malony finished 5th - coming home strongly with 2, 7, 2. Peter Burling and Blair Tuke had an other decisive win in the 49er - being 48 points ahead and unbeatable before the medal race. 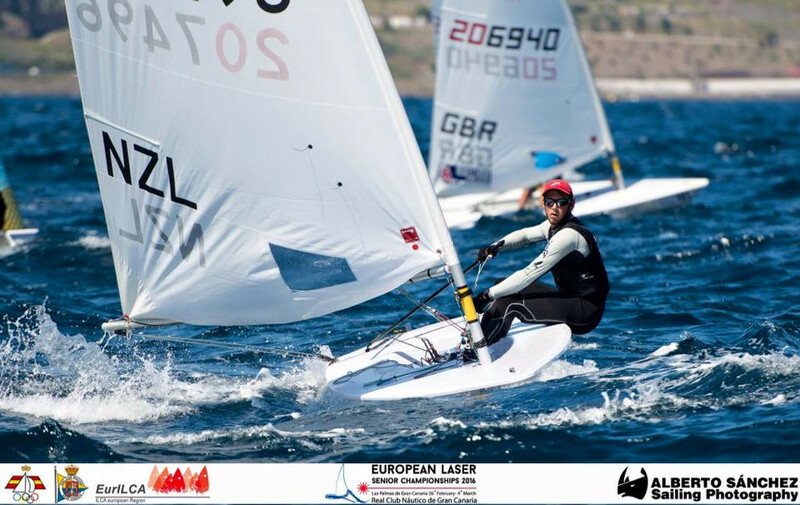 We are part way through a busy round of Laser World Champs in Riviera Nayarit, Mexico. Sailors report it is a beautiful sailing venue. Womens Radial and Masters Radial are complete, with Mens Open and Masters Standard yet to come. All results and and report at www.laserworlds2016.org. Susannah Pyatt 19th - she should be happy with her best worlds result to date. Richard Blakey 2nd Master loved it over there. Masters and apprentices sailed in a combined fleet - which made things more interesting. The 3rd edition of the Auckland Women Laser Championships was held at Point Chevalier Sailing Club on 30th April with women sailors from all around Auckland participating in this fantastic event: Waiheke Boating Club, Kohimarama Yacht Club, Torbay Yacht Club, Panmure Lagoon Sailing Club, Pupuke Boating Club, and of course the host club. The Regatta was held on a bright sunny autumn day in rather light airs which ranged up to eight knots, requiring a fair chunk of skills in keeping those lasers gliding through the water as well as finding those wisps of breeze to fill the sails. In the A fleet, competition was fierce throughout the day between the Master Women, Michelle Bain (NZ National Radial Champion -1987 & 1988) and Georgina Wooldridge (PBC), who were constantly chomping on the heels of Libby Porter (KYC). The last race was won by Michelle, who finally managed to catch up with Libby with that winning puff filling her sail. Libby Porter won the day and the coveted Auckland Women Championship trophy for the 3rd time in a row. The trophy was generously donated by Jim Quinn. In the B fleet, Deborah Killen from Panmure dominated the fleet and even managed to catch up with the A fleet in a race, a great feat as she completed a Learn to Sail course just a year ago. She was followed by Jemma Walden from Waiheke. 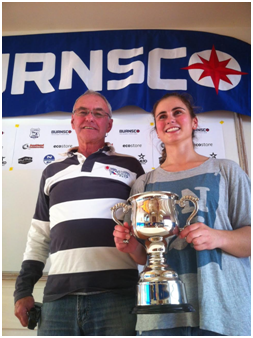 Jemma won the inaugural J. Davern Trophy for 1st Youth, which was generously donated by Point Chevalier Sailing Club. Well done! It was a fantastic event enjoyed by all and everyone came back with smiles on their faces and even a tan! Thanks Kirsty and Point Chevalier for such a memorable day! The 2016 Auckland Masters was held at Tamaki on Saturday 2 April. The fleet of 25 Full rigs and 9 Radials arrived to a promise of a building N to NW wind for the day. Unfortunately it was not to be and we never got much over 5 knots all day which, combined with an offshore power boat race through our course at lunchtime, resulted in only 3 races being completed before a rain squall completely killed the breeze for the day. The light and patchy conditions made consistency almost impossible, with everyone getting caught in holes and unfavourable shifts at times. The first race started on time and in the Standards ancient local knowledge proved the difference with GGM and Tamaki commodore Bob Blakey somehow finding his own breeze in the middle of the course to take the lead at the half way point and carry on to an epic victory. Not to be outdone the next generation of Blakey made it a father and son double with Master Richard winning the Radials first race. The fleet now alerted to the Blakey magic was on their toes for the second race, managing to relegate both Blakey’s down the fleet showing that even at Tamaki lightning doesn’t strike twice! Team Hamilton visitor Ken Atchison (AM) enjoyed an all the way victory in the Standards while AM Scott Leith managed to show the Radials that he was on form after all and the first race 3rd was an aberration. In the 3rd Race Chris Brodie (M) backed up a 2nd in Race 1 with a convincing victory in race 3 to take out the Standard trophy from Ken with former top Laser sailor Mark Oliver (M) getting back into a Laser after many years to start his training for the World Masters Games and secure 3rd overall. First GM was another Hamilton visitor Scott McDougall in 4th overall. Whangarei visitor GM Roger Winton was victorious in R3 of the Radials but Scott’s second was just enough for him to come out on top by a point from Roger with Richard a couple of points back in 3rd the first Master. So another strong Masters turnout for the Roast Beef sandwiches at the prize giving and thanks to sponsors Smart Marine and Watershed for some great prizes. Andrew's campaign update - Mixing it up in 2016, including a report on the NZ Nationals and European Champs. 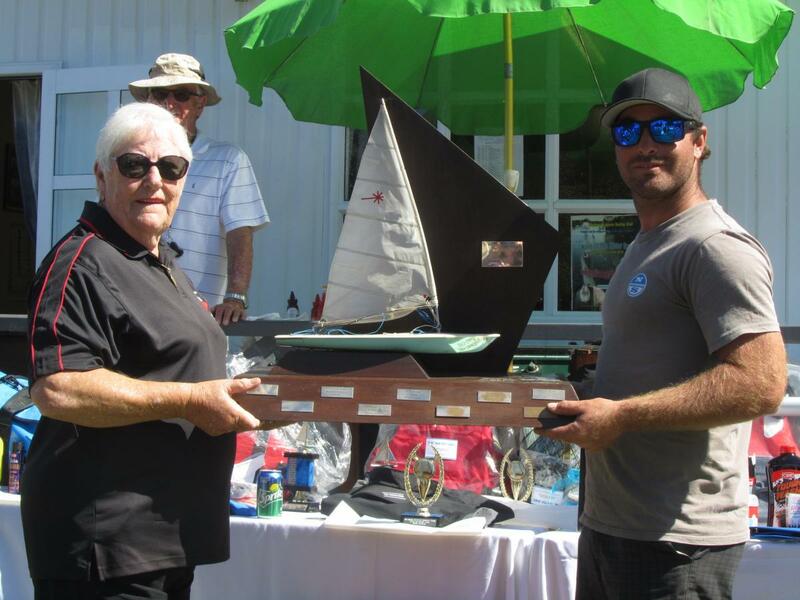 The 39th RSA Regatta was held on the challenging waters of Panmure Lagoon. They came from far and wide, Taipa to the North and Ohope to the South as well as Whangarei, Waikato and Auckland with one sailor coming from the UK making up a strong fleet of 41 Lasers split into 30 standards and 11 Radials. The wind gods settled in with winds up to 8 knots from the East making for some highly tactical close racing. First start landed up as a general recall as boats charged over the line before the start gun but Garth Briden and Jock Bilger, our race officers gathered in the exuberant jockeys sending them gallivanting on their way with a successful restart. Four races were held in these moderate but tricky winds requiring a fair chunk of concentration to out manoeuvre the agile fleet. The winner for the day was Andrew Childs from Taipa Sailing Club in the Standard rig, he had travelled down 4 hours on the day to pick up the coveted trophy which he missed out on last year. He was followed closely by Luke Deegan from SSANZ and David Giles from Weir Wood Sailing Club in the UK. The Radials was won by PLSC’s very own Kevin Welsh, Roger Winton from Onerahi Yacht Club was second and 3rd as well as 1st Junior Radial was Loic Eisenring from PLSC, with the Radial Women’s fleet taken out by PLSC’s Shaaron McKee. The day ended with a BBQ and lamb on the spit followed by prize giving. Thanks must go to all our sponsors whom help to make this an extraordinary successful Regatta. We thank RSA for donating all the trophies as well as Waipuna, CRC, PredictWind, Auckland Seaplanes, Burnsco, Survitec Group, The Water Shed, Red Carpet Tours, Auckland Marine, Joy Adams Sail Repair, NZ SailingNet, FlyaJet, Sugarcrafts, YMCA and Auckland Maritime Museum for generously supporting our club by donating some amazing prizes for the sailors to take home. 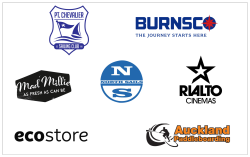 Thanks again to our sponsors for supporting our RSA Regatta. Thanks must also go to all the members who helped out on the day. 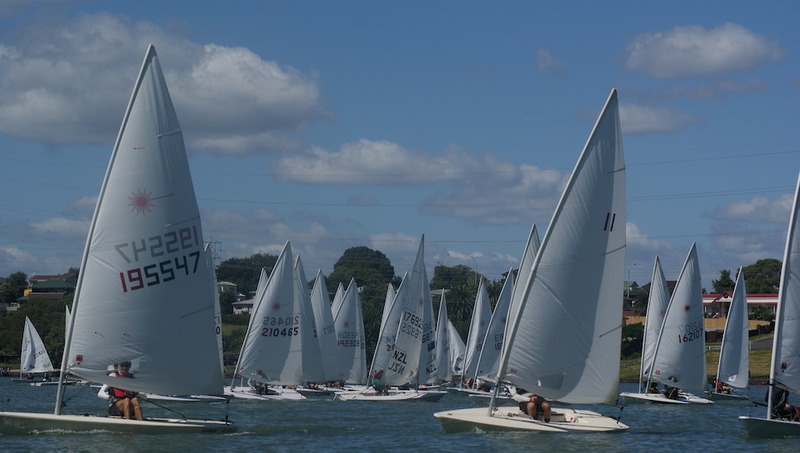 Murrays Bay SC hosted the 2016 Auckland Laser Championships this weekend with the 46 Standard and Radial sailors facing a variety of challenging conditions over the 2 days. The fleet included a strong international contingent, who were competing as a prelude to Sail Auckland next weekend, with sailors from Canada, China, Korea, Singapore and South Africa competing in addition to a good cross section of the local Laser fleet. The start of racing on Saturday was delayed due to an unstable SW breeze fighting a forecast sea breeze that in fact never eventuated. Racing finally got underway in a light and very shifty SW breeze which constantly challenged all the sailors with major shifts and pressure variations from less than 5 knots to an occasional 12 knot puffs which seemed to appear from nowhere. The scheduled 3 races were completed with the cream as usual rising to the top in spite of the challenges. So after day 1 world top 40 ranked sailor Colin Cheng from Singapore led the Standards with reigning Apprentice World Champion, and current MBSC commodore, Scott Leith leading the Radials. Day 2 provided significantly more breeze, with a tricky & variable 10 knot SW for the first race shifting to the South and strengthening to about 15 knots for the final 2 races, which still delivered plenty of shifts and pressure variations. In the Standards Colin Cheng held onto his overnight lead with a strong 1/2/1 record to win convincingly over South African sailor Stephano Marcia with Chinese sailor Jianan Wu in third. First under 21 sailor was Tim Adair from Murrays Bay in 7th overall while the first master was another local, Dean Drummond in 9th overall. In the Radials Scott Leith was also able to hold onto his overnight lead, although two bullets for leading NZ women’s sailor Sara Winther did put some pressure on Scott and lifted Sara to third overall. Leading Youth, in 2nd overall, was a consistent George Gautrey, who continues a great streak of form following his excellent results at the recent ISAF Youth Worlds and NZ Laser Nationals. Visitor Kim Da Jeong was the leading female youth sailor. So following this weekend successful regatta we can look forward to a top quality contest at next weeks Sail Auckland regatta also being held at Murrays Bay, with the NZL Laser team sailors and more international sailors joining the fleet. Over the weekend of the 13th 14th February 2016 34 keen Laser sailors headed down to the Mt Pleasant on the Christchurch estuary for 9.00 and 9.30 starts. Saturday’s first race was a tricky downwind start in a dying Southerly. 2 ½ hours later we finished in a light Easterly breeze. The Full Rig places seemed to change somewhat as some were becalmed and others bought the new breeze through. All in all a very frustrating race I would say by all! The second race the light Easterly remained and we just finished with enough water to spare. Day 2 we managed 4 races a piece in all the fleets in a light Easterly breeze. Thanks to Mt Pleasant and especially Phil Galloway for hosting the regatta. It was great to see so many Lasers sailing off the one club in Christchurch. The wind gods were not kind but we did well to get 6 races done and dusted in unusually light weather conditions. The Standard rigs were won by Richard Ineson from Cyc, with Nick James 2nd and Haydn James 3rd. Sam Higginbottom won the 4.7s with Annah Winheld 2nd. In the Radials Dougal Frame was a convincing winner with Craig Atkinson beating Dad Hamish for 2nd and 3rd.